You are invited to pursue interests in business, creative arts and more in the neighborhood of Lancaster Regional Medical Center and Franklin & Marshall College. 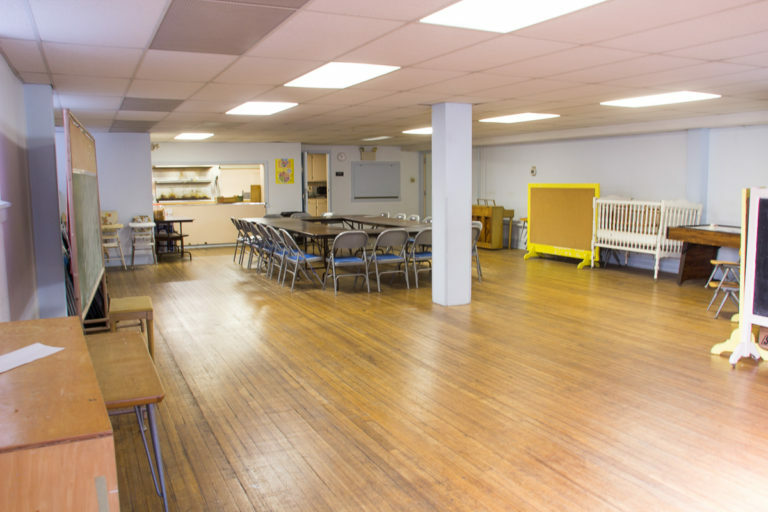 The ideal home for your professional and personal pursuits could be in the Education Building and adjoining property of Emmanuel Lutheran Church, 540 W. Walnut St.
Natural daylight illuminates most rooms. 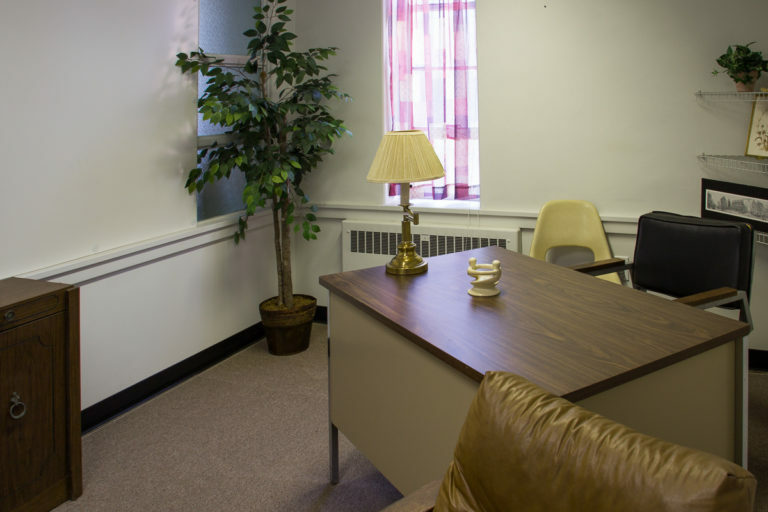 Available space ranges from 325 square feet to 4,355 square feet. One performance space of 1,600 square feet features a vaulted ceiling and stained-glass windows. Another open space of 1,600 square feet is adjacent to a full-service kitchen. The buildings, which are within walking distance of Franklin & Marshall College and Lancaster Regional Medical Center, are assets to the community. 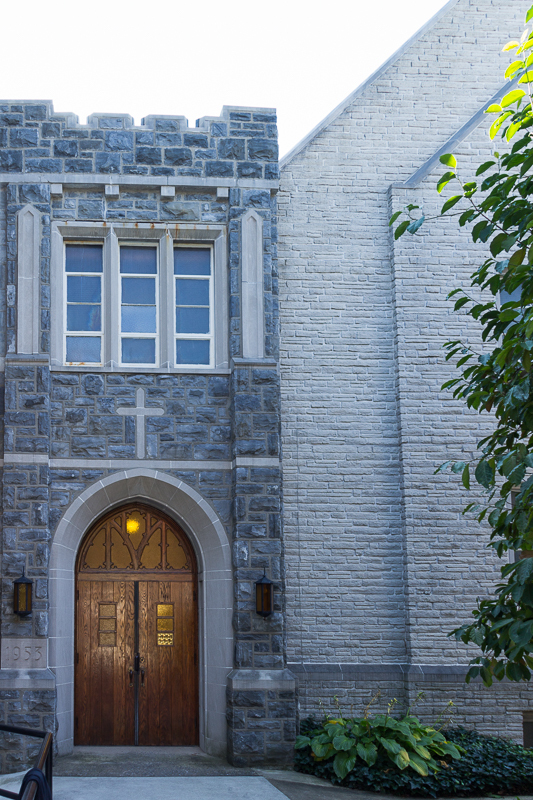 You are invited to consider Emmanuel Lutheran Church as your organization’s home. Inquire about inspecting the property and renting space by calling 717.397.6195. 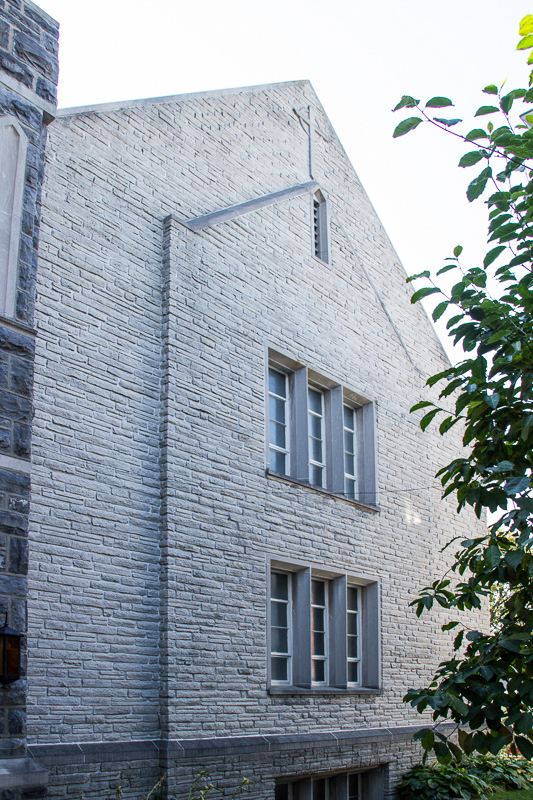 Sieger Chapel and the Fireside Room offer 1,600 square feet of handicap-accessible space. 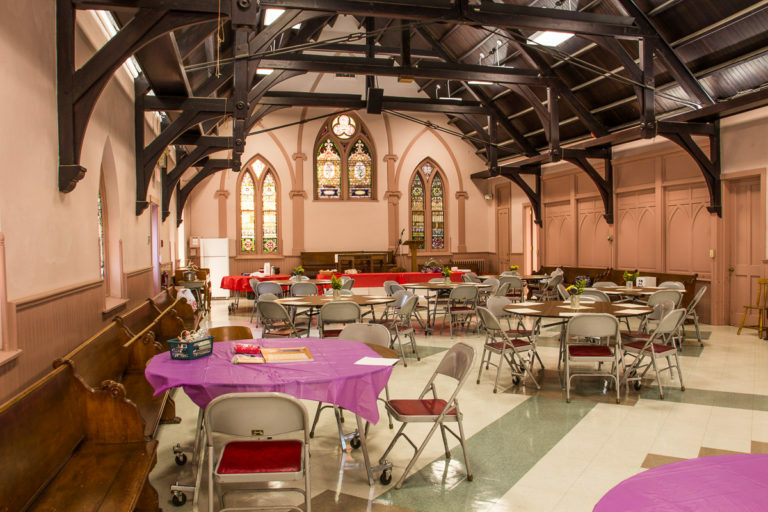 The chapel’s vaulted ceiling and stained-glass windows create a unique atmosphere. The community room’s 1,160 square feet can accommodate many activities. The hall is adjacent to a modern kitchen. 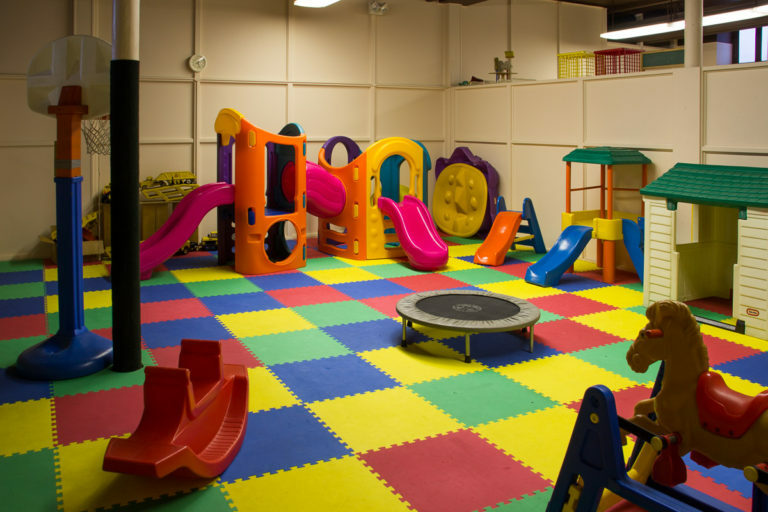 Soft tiles make this space suitable for indoor play and recreation. This space and adjacent areas offer a combined total of 4,355 square feet. 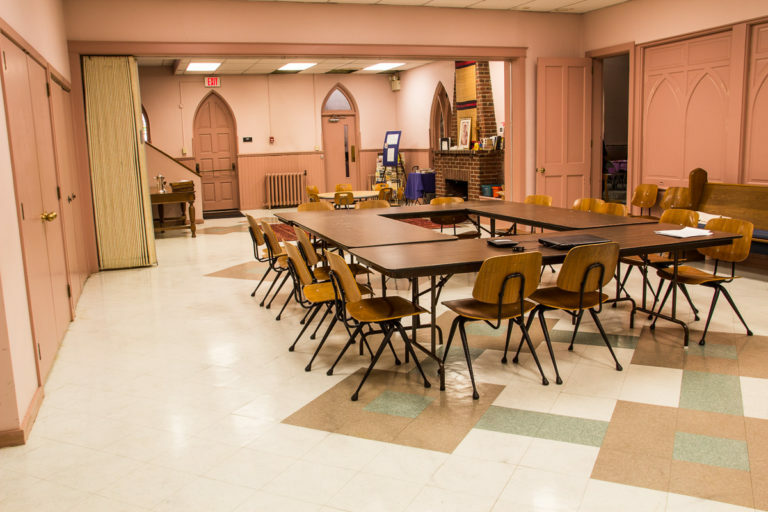 The rooms served for more than 20 years as the home of Emmanuel Nursery School. Bathrooms with child-sized fixtures are nearby. A fireplace dominates the Fireside Room. The room is handicap accessible. The Education Building has 3 floors. 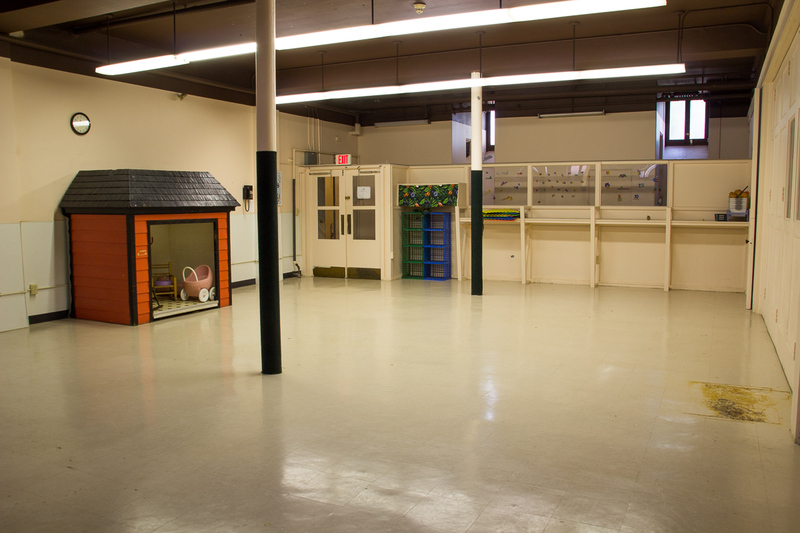 Space available measures 1,600 square feet (1st and 2nd floors) and 1,230 square feet (basement). The 2nd and 3rd floors combine a common area flanked by cozy office/classroom spaces.